At one extreme are the heavy rifles brought on by the long-range craze with thick barrels, sniper-style stocks, and giant optics with protruding dials. At the other extreme are the lightweight mountain rifles that are an extension of the “lighter is better” attitude of high country backpackers. We tested four of the most innovative premium mountain rifles on the market to determine how they stack up without the marketing hype. Scales and targets don’t lie, and neither do we. PROOF Research has quickly developed a reputation for quality and precision, and the Summit is a solid example. 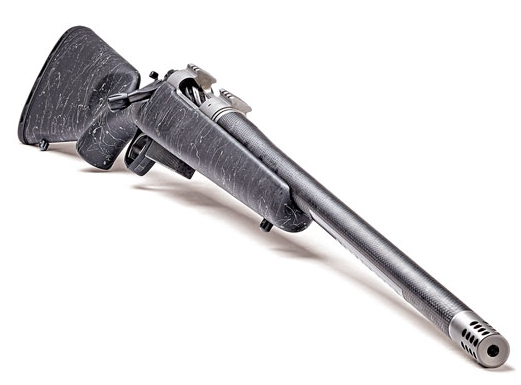 Built around a Defiance action with PROOF’s carbon fiber-wrapped steel barrel and lightweight synthetic stock, this rifle has the solid handling characteristics of a rifle twice its weight. 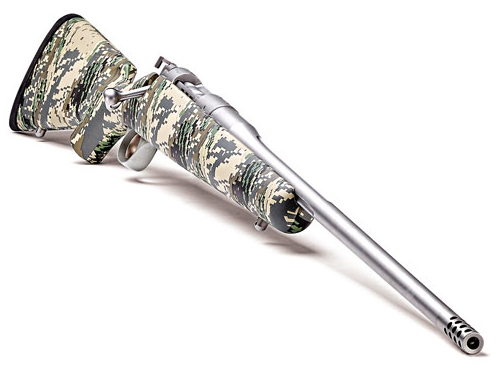 Christensen Arms uses a 17-4 stainless-steel 700-style receiver with a fluted and nitrided bolt and integral Picatinny rails for secure scope mounting. 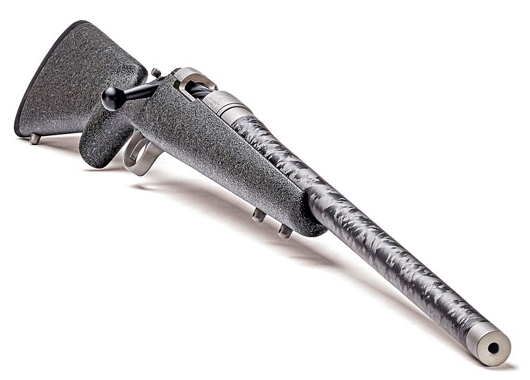 Carbon fiber is incorporated into the barrel, stock, and detachable box magazine, which helps keep the rifle’s overall mass down to a minimum. 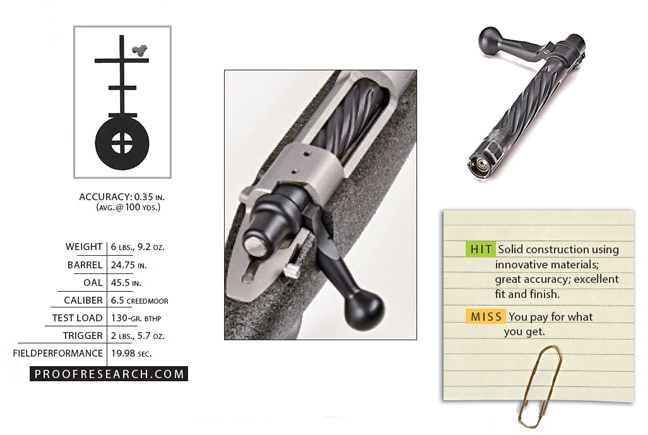 is the only real “factory” rifle in our lineup and is, by far, the least expensive. 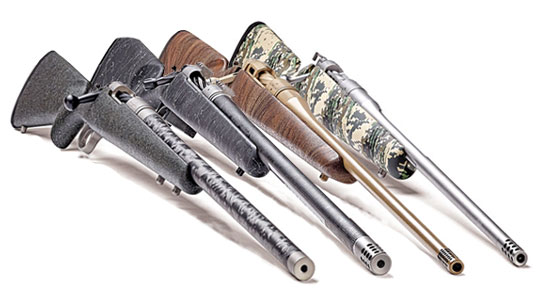 The gun is super-light without sacrificing barrel length. The fit and finish are good, and the three-position safety and full-length extractor are nice touches for a hunting rifle. The removable brake made recoil a non-issue, and the straight stock design was very comfortable. The weight of each rifle’s trigger was tested using a Lyman Electronic Digital Trigger Pull Gauge. 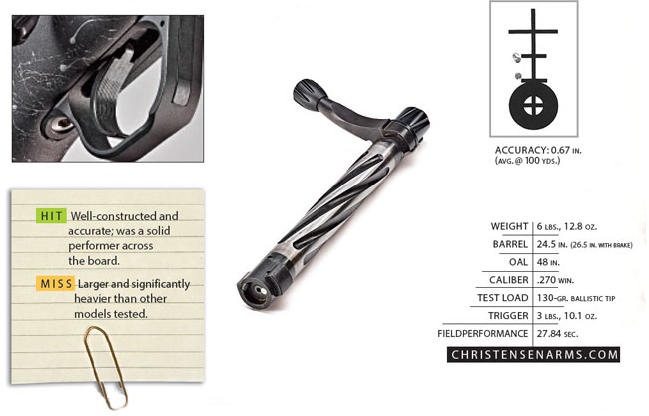 Each trigger was tested three times with the results averaged. Shot-to-shot variations were noted. All of the test guns had great triggers, but the Proof’s trigger was fantastic and received a full 5 points. 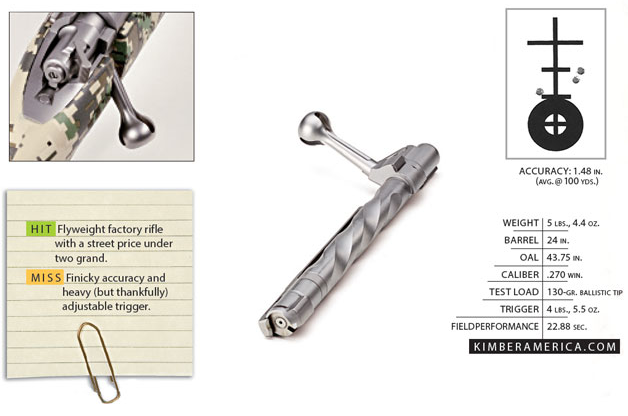 At the other end of the spectrum was the Kimber’s trigger, which broke cleanly but was the heaviest by a good margin. However, Kimber’s triggers are fully adjustable. 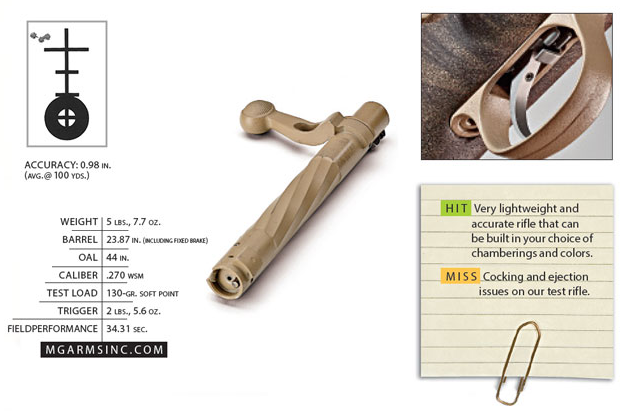 In this “catchall” category we evaluated the attention to detail shown by the rifle’s manufacturer as well as the handling characteristics and non-accuracy performance of each model. The PROOF ruled this category with no flaws visible to my highly critical eye and evidence of excellent quality control throughout the rifle’s construction. 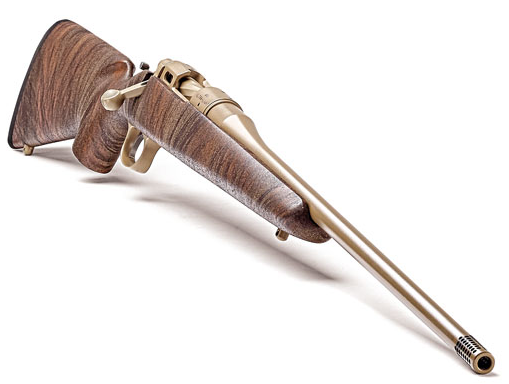 The Christensen Arms rifle was obviously built with careful attention, and it handled very well. Accuracy is great from the bench but few benches exist on wind-blown mountainsides. In order to evaluate the practical accuracy or “shootability” of these rifles, we devised a timed shooting course that replicates the types of shots you might encounter in the field. Using a shot timer to keep score, each rifle was fired from three positions: standing using sticks (100-yard target), sitting (200-yard target), and prone over a pack (250-yard target). Steel targets were used.